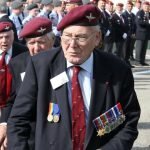 After enlisting in the Army in 1942, Tom was accepted for parachute training after serving in a Royal Artillery anti-aircraft battery in London, and later the East Surrey Regiment. 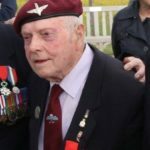 However, a few days before passing out at Ringway airport he fractured his foot in the gym, and this meant he had to go through the five-week parachute training course again. 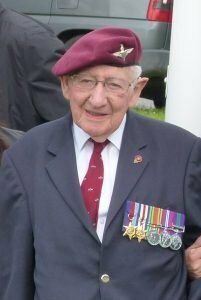 Too late for D-Day, he was posted to the 9th Parachute Battalion at Bulford as an Intelligence section reinforcement; however, the battalion arrived home soon afterwards. 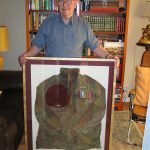 He served with the battalion in the Ardennes Battle of the Bulge, and the Rhine Crossing, where his stick was adrift for 24 hours after being dropped miles from the DZ. 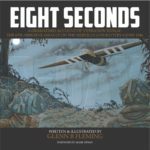 He was also with the 9th in Palestine. 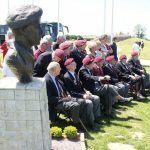 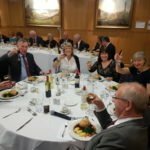 Tom Hughes serves on the committee for the 9th Battalion Reunion Club, and is the editor of the Red Beret Newsletter – issues of which can be read here.